What is Crescent Lunge Pose? 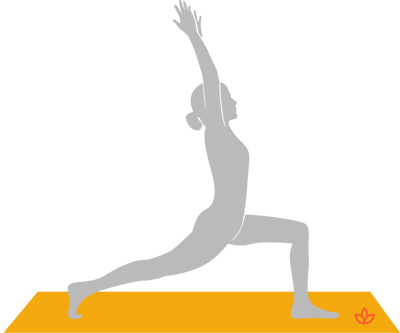 Crescent lunge pose, or ashta chandrasana in Sanskrit, is a standing posture that strengthens the legs and opens the chest. It's sometimes considered a variation of high lunge. The two poses are quite similar, but crescent lunge has a more heart-opening and backbend effect. Exhale and step the left foot between the hands. Align the ankle under the knee. Lift the back heel from the floor. Inhale and lift the arms and torso, reaching the hands toward the sky. Bring the torso vertical, then open the chest by gently arching back. Exhale and step back to downward facing dog. Change sides.